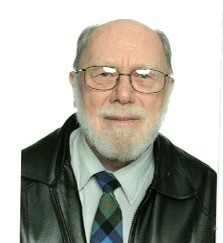 Robert Duncan Ferguson, 81, of Shenstone, passed away on November 23rd, 2018 at his home. There will be a Funeral Service and Celebration of his life on November 25th, 2018 at 3:00pm at the Salem Baptist Church with visitation an hour prior to the service. Following the service the family will be meeting with relatives and friends for further sharing of memories and for refreshments. Interment will be in the Shenstone Cemetery, Shenstone, NB. For those who wish donations to the Shriner's Children Hospital or the Salvation Army would be appreciated.